I’ve got my dad’s DNA. Literally. Not only do I share his DNA, I share his name. David Daniel Docusen, Sr. is one of the most creative, skilled leaders I’ve ever known. His energy & enthusiasm for life is infectious. 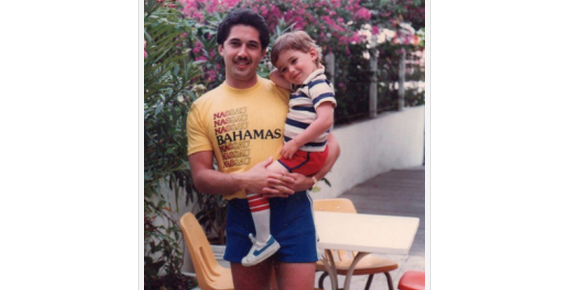 The picture above is my dad and I in Hawaii when I was three years old. Please appreciate our incredible style circa 1982. Growing up in the Docusen home meant always having a next project. I watched my dad study the market in the communities in which we lived. He’d fill a void by starting a business in an underserved market. By day, he was a leader within the Delta Airlines organization. By night and weekend, he was a serial entrepreneur. His knack for anticipating what the market would respond well to was something that has stuck with me into my adult years. My dad always told me that I’d make a great businessman. When I felt God’s call to ministry, I could never shake what seemed like a natural fit. I distinctly remember working as a hired hand at a small business convention in Orlando when I was in my early twenties. I watched thousands of entrepreneurs wandering the convention halls and kept thinking to myself, “I know I’m in ministry, but I would have loved to start a business.” I had convinced myself that the call to ministry was a call away from entrepreneurialism. Gladly, I couldn’t have been more wrong. Dara and I were sitting in the lobby of our church in Orlando, FL in 2005 when God merged our call to ministry and our entrepreneurial spirit. We didn’t know what it was called or where it would be, but this was the day that we decided that if we ever built a church building, we’d create a business that filled a void in our community. The dream of Ebenezers Coffeehouse was birthed in our hearts that day. 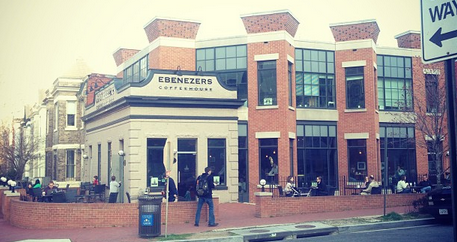 I want Ebenezers to be loved and enjoyed by our community in Uptown Charlotte as it is in Washington DC (pictured above). It’s for our city, after all. The better we run our business, the more money goes back into our community. The more we serve great coffee, offer great events and create a comfortable environment, the more people will want to make Ebenezers a part of their normal routine. The more people make Ebenezers a part of their normal routine, relationships will be built. And the more relationships are built, the more people will see the genuine love of Jesus on full display in our every day lives. This is the crossroads of entrepreneurialism and ministry. And this is an incredible passion of my life. God changed my life through my relationship with Jesus. I want to share that with people for the rest of my days. God also gave me a dad that taught me to embrace my entrepreneurial spirit. Turns out these two roads don’t run parallel. 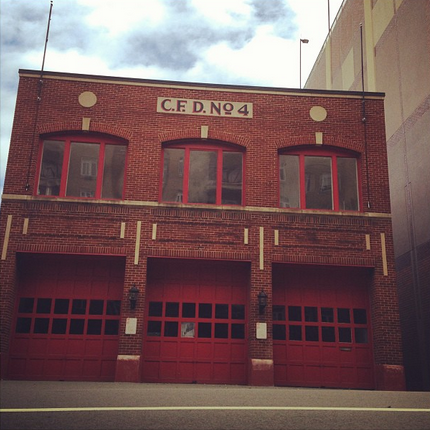 They intersect at 420 West 5th Street in Uptown Charlotte, NC – the future home of Ebenezers Coffeehouse. ← Think Jesus Can’t Hear You? Shout Louder.